Master Teachers: Romana Kryzanowska and Sari Mejia Santo (New York), Dorothee Vandewalle and Lori Coleman-Brown (Seattle). I have been a serious student of Pilates for over a decade. 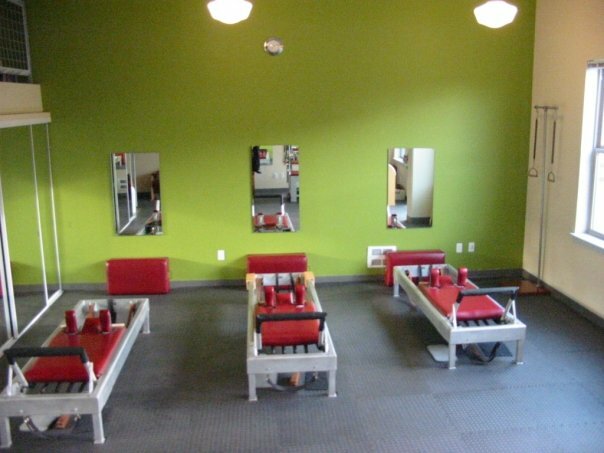 I have studied many types of pilates and worked with a wide cross section of teachers. I was convinced that my classical Pilates instructor in Scottsdale, Arizona was the finest teacher on the planet. But then I moved to Kenmore and happened to meet Tom Wiseley. He is by far the most knowledgeable, engaging, and experienced Pilates teacher with whom I have ever had the privilege of working. Tom’s precision, specificity and awareness ensure safe and challenging work-outs. He makes every session incredibly fun while also managing to teach students complex concepts. His humor and wit are unparalleled. I love doing pilates with Tom and I will never go anywhere else! --Debra G.